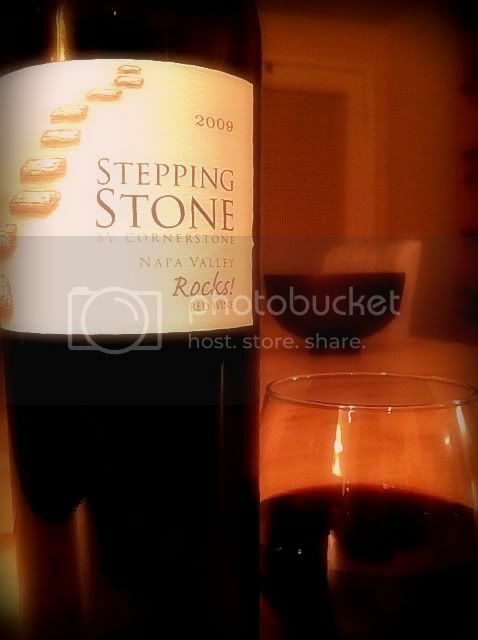 Now And Zin Wine: STEPPING STONE BY CORNERSTONE RED ROCKS! Napa Valley producer Cornerstone Cellars makes some big, expensive red wines which are prized entries in a lot of wine collections. Wine drinkers looking for a more affordable taste of Napa - or simply a good everyday wine - are finding Cornerstone's Stepping Stone line to be just as valuable. A further subset of the bargain brand - the Rocks! line - offers blends not only of different grapes, but of different attitudes. Old World styles meet New World creativity in this line, and the Stepping Stone Red Rocks! is a perfect example of that mindset. Cornerstone provided a sample to me. Cornerstone winemaker Jeff Keene has crafted an unusual red blend of Zinfandel and Pinot Noir. That combination may sound crazy to some, if not heretical. It works, though. There’s a good deal of both grapes in this wine, with the brawn and spice of the Zin and the dark moodiness of the Pinot Noir. The 14.9% abv number is definitely more New World than Old. The nose boasts loads of blackberries and vanilla, and good deal of alcohol, to boot. That aggressiveness diminishes after a half hour or so, but an even longer breathing time is advised. It's a good idea to decant this wine if you can. On the palate, flavors of blackberries, cigars and licorice leap out for a really intriguing flavor profile. The tannins are extremely healthy. Pair Red Rocks! with the biggest, meanest piece of meat on the grill. This wine will tame it. My tasting routine generally spans three nights, so I have a chance to examine how a wine develops over time. Due to a hectic schedule and some evenings out, this particular bottle lasted almost a week. After five days open the tannins are still quite firm, although less aggressive, and the nose and palate offer a greater sense of tar, tobacco and leather. It exhibits the sort of character you don't find often in a $15 wine.